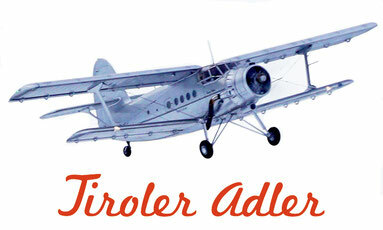 SCENIC FLIGHTS - tiroleradler-flugs Webseite! When booking our scenic flights we cooperate with the Tyrolean booking platform Alpenrundflug-Erlebnis. com (FBT Flight-Service), which handles your bookings for the scenic flights and coordinates the dates you prefer - please click on the link "SCENIC FLIGHTS - book here" below. For inquiries about our event flights, please click on the link below "EVENT FLIGHTS - inquiry" - we will be happy to prepare an offer for you immediately.